Mariuca's Perfume Gallery: Feels Like Winter! Brrrrrr! It feels like winter in here, which is of course plain silly since we've never truly experienced winter where I'm at. There's no such thing as snow, snowboards, skis etc here but the past two days have been really chilly I'm inclined to feel like winter is upon us! As I'm writing this post, I have my fluffy grey blanket covering me and I'm donning flannel sleepwear complete with socks to keep me warm. I don't take the cold well actually and besides dust; cold weather triggers off my sinus problem. So not only am I freezing inside my own home but I am also sneezing non-stop! What I really need right now are hand warmers as well as foot warmers. What are hand warmers you ask? Well, they're actually pretty cool, which is ironic seeing that these little babies actually keep you WARM. Composed of all natural products, these warmers are also environmentally friendly. Once removed from the packaging and activated by air, the hand warmer will provide up to 10 hours of soothing warmth inside your gloves, pockets or wherever you feel a chill. And right now, I really want to break one open inside my blanket so I'd feel warm and toasty all over! This product is not available here in sunny Malaysia so I'm improvising with a hot-water-bottle. 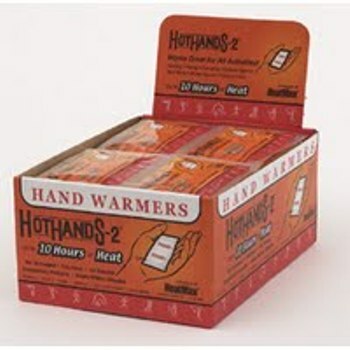 But if ever I do come across such hand warmers on my next trip abroad, you can bet I'd bring home a pack. I'm curious that way and I'm keen to see and personally experience just how this product works! By the way, I've just added the snowfall effect to make it feel even more winter-like here at MPG. Thanks Monica for the easy-peasy tutorial! Brrrrrr!